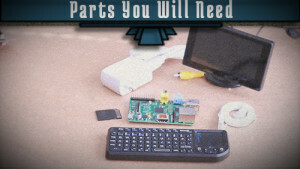 We are embarking on a project to build a motion detecting CCTV camera. We’ll be using a Raspberry PI and a USB webcam or PiCam. We’ll also be writing custom code in python to detect motion using SimpleCV and sending us an e-mail alert with a picture attached. 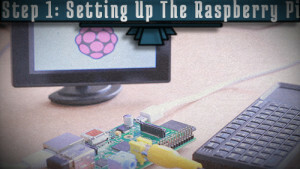 In part one of this series, we use a raspberry pi to write a python e-mail notification program. To do this, hover over the network icon in the upper right-hand corner of the desktop. 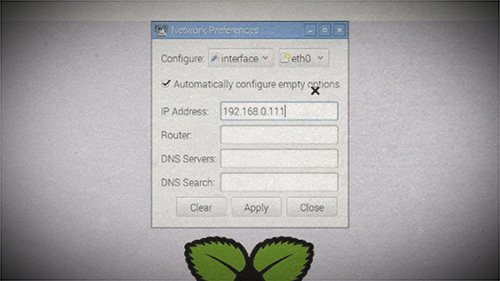 It will tell you your current IP address, which will probably look like 192.168.0.4 or 192.168.1.4. Write down this number, and then right-click on the icon and select “wifi settings”. 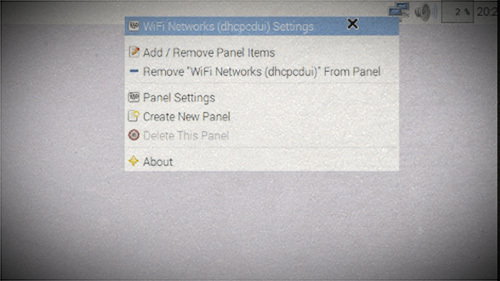 From the drop down menu, select “wlan0”. 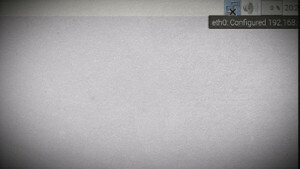 Then type in the base numbers from the IP address you wrote down (ex. 192.168.0.). For the last set of numbers, choose a number that is unique and isn’t shared with any other device on your network. Generally anything over 100 is reserved for static IP addresses. I am going with “192.168.0.111”, but you can choose whatever you like. Click “OK” and then reboot your computer. The great thing about the Pi is that it already has a few programming environments pre-installed. The simple one I like to use is Python. Normally I’d advise using Python 3, but the webcam software we’ll be using isn’t yet compatible with it, we’re forced to use Python 2.7. 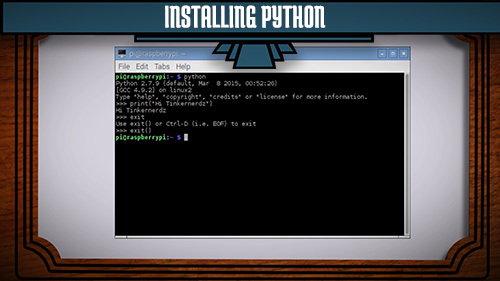 From the menu, you could go to “Programming” and choose “Python 2” and it will open up the Python interface. 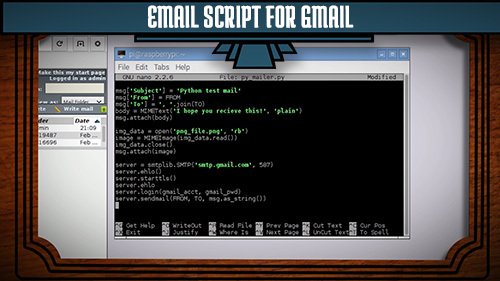 However, it’s just as easy to write our Python code from the command line. So these steps will show you how to set up Python from the command line. It’s standard practice in Python to create your programs in a virtual container to organize the code and its dependences. This is called a virtual environment. So I’m going to pretend like I know what I’m doing and walk you through how to set up and use it. To make the virtual environment workflow easier, you can also install “virtualenvwrapper” which uses easier commands to start and stop virtual environments. 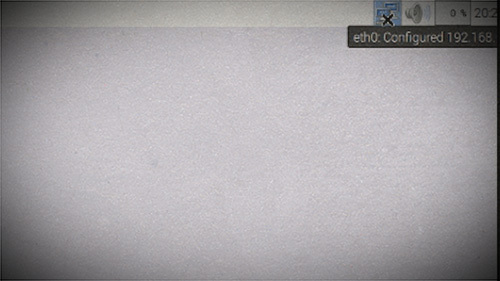 Then let’s create a virtual environment called “mailer”. 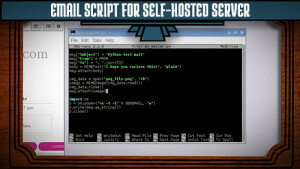 The script below is for use if you are hosting your own e-mail server, such as the Citadel e-mail server that I showed how to make in my last tutorial. If you are wanting a script to use for smtp mail clients such as gmail, you can find that under the next step. The last thing I wanted to investigate is text messages. 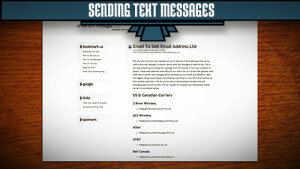 If you look at www.emailtextmessages.com, you’ll see that most all phone carriers have a way to send text messages from email. It generally requries the users phone number, @, and then the carrier name. So adding that to your mailing list should send you a notification through email and text.